This week, Nikkei reported that the difficulty of producing the 3D sensors that power facial recognition in the highly anticipated iPhone X is leading to manufacturing delays. This could ultimately lead to shortages when pre-orders for the device open on October 27th. If it feels like you’ve heard this story before, that’s because you have. The Wall Street Journal reported nearly the exact same thing in late September. And these aren’t the only reports of manufacturing delays. For seemingly as long as the iPhone X has been on people’s radars—it was previously referred to as the Anniversary iPhone or iPhone 8—there have been rumors that Apple would have problems delivering the device to consumers in a timely fashion. Earlier last month, things started sounding positively apocalyptic if you’re one of the people eagerly waiting for “the best” iPhone of the year. On September 15, just three days after Apple announced the iPhone X, Apple Insider obtained a research note by analyst Ming-Chi Kuo that said Apple won’t be able to meet demand for the iPhone X until the first half of 2018. Kuo, of KGI Securities, is a noted analyst when it comes to Apple and is frequently right. He correctly predicted Apple dropping Touch ID in the iPhone X, and even anticipated the cellular iteration of the Apple Watch Series 3. If he says there’s good reason to think iPhones will be slow to reach consumers, then there’s a solid chance he’s right. Apple declined to comment about the persistent rumors indicating delays in iPhone X manufacturing and shipment. Early rumors were reported as far back as April 2017 by Mac Rumors. The blog obtained research notes from an analyst at Cowen and Company that suggested integrating Touch ID into the iPhone X’s display was the “biggest bottleneck” in manufacturing. Less than a week later, it obtained more research, this time from an equity research analyst at Pacific Crest Studies, which suggested that manufacturing would be delayed or Apple would be forced to drop the Touch ID feature altogether and instead rely entirely on facial recognition. Which is exactly what seems to have happened: The iPhone X has no Touch ID and uses a new facial recognition system. 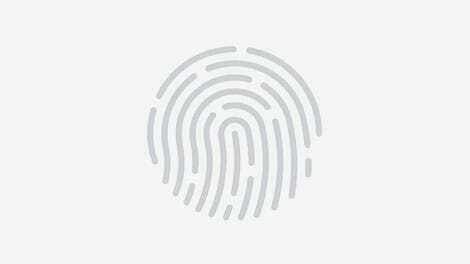 While Apple has not confirmed that Touch ID was originally planned and then dropped, we reported the reasons for the difficulty of implementing the technology directly into a touchscreen last month, so it seems at least possible it abandoned the idea mid-course. More delay rumors followed in May when Deutsche Bank released a new research note that, according to Business Insider, cited delays related to “key component shortages and technical challenges.” Those issues could certainly have been related to the Touch ID problem, but component shortages may have referred to an OLED supply issue that surfaced later. 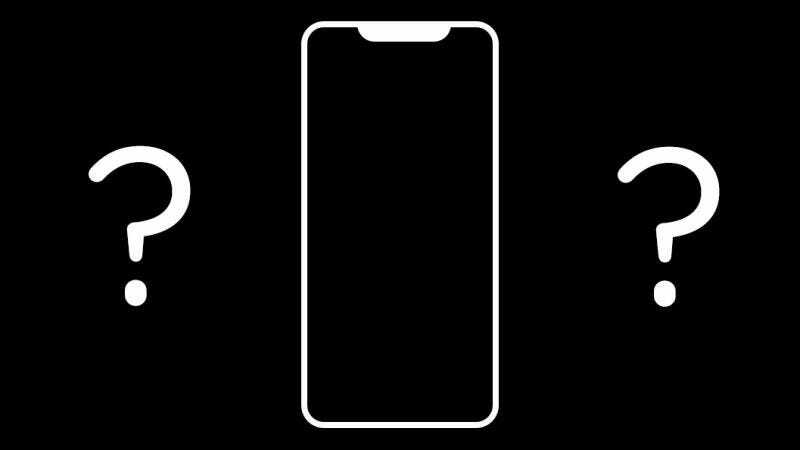 The iPhone X has an OLED display—the first ever in an iPhone. OLED displays are more difficult to produce than the traditional LCDs found in iPhones, and there are fewer manufacturers that can produce them at the quantity and quality required by Apple. This forced Apple to buy from its biggest phone competitor, Samsung, but the displays it demanded weren’t just the same found in a Samsung phone. They have to have that notch carved in. OLED rumors persisted. In June, a rumor that originated at Digitimes suggested OLED problems. Economic Daily News (paywall) then followed up in July with another report pointing to OLED displays as a potential bottleneck for production. Around the same time, Fast Company released its own report about potential delays, which claimed a “sense of panic” had overtaken Apple. The concerns stemmed, again, from with Touch ID, the new Face ID system, and potential OLED display shortages. Though there was also some concern with getting the wireless charging working as well. Ultimately, the phone Apple showed off in September, showed no signs that the company had encountered any problems at all. Sure Touch ID was gone, but the phone had a striking design, an OLED display, wireless charging, and a new facial recognition system. The only snafu was that the phone would ship in November instead of September with the iPhone 8 and 8 Plus. This, naturally seems to support many of the claims above—that technology implementation and supply have led to a later shipping time frame. And now there are these rumors from Nikkei and Wall Street Journal, indicating that manufacturers are still struggling with the 3D sensors residing in the notch. What do we make of them? Reports of delays in devices are very common, and not just with this iPhone X. As we saw last year with the AirPods and even the first Gold iPhone, shortages at launch absolutely happen. Yet rarely have there been this many reports for this long. Moreover, the reasons are downright believable. This is easily one of the most advanced phones ever made—It has a lot of remarkable tech and tricky design packed into a very small package. All that has to come at a cost, and this year it might not just be the $1000 price tag. While we don’t know for sure how quickly launch-day iPhones will sell out, it seems reasonable, if not likely, that the rumors about complications might bear out. If you plan on getting an iPhone X you might want to prepare yourself to wait. Nikkei is now reporting that Apple will be shipping only half the expected volume of iPhone X devices for 2017. That means there will be just 20 million iPhone X devices in the marketplace by the end of the year. In the piece reported this morning Nikkei notes that “the reduction stems from the California-based company’s struggles to solve technical issues with components supporting the model’s new face authentication feature.” This lines up with previous reports we heard from Nikkei and the Wall Street Journal. The bright side (for potential owners) is that there are only two months left to the year, and, according to Nikkei, Apple is already negotiating with other manufacturing partners to significantly ramp up production in early 2018.